Which Old Car Would You Like To See Get A Factory Restoration Program? You are awoken by the distant sound of a low, confident horn. The time is earlier than you normally get up in the morning, but you are calm and surprisingly clear headed, not upset. The air is cool and damp, and something draws you out into the street. You look down the foggy road, the blue light of morning not yet bringing the day to life, and then you spot it on the horizon waiting for you. What do you see? If you see a beautiful, factory restored Miata, its dopey pop-ups beaming back at you, inviting you on a journey, then you’re in luck. As we reported yesterday, Mazda announced a restoration program for Japanese owners of the first-gen Miata, with some lovely optional upgrades. Put perhaps waiting for you on the crest of that paved dreamlike hill is not a Miata. Perhaps it’s something you can’t find, in a more modern form, at the dealership. Or perhaps it’s something otherwise intangible, but worthy of care and quality; worthy of a genuine rebirth, the second chance we all imagine for ourselves. Perhaps it’s mundane to some. Perhaps it’s common; perhaps it’s rare. 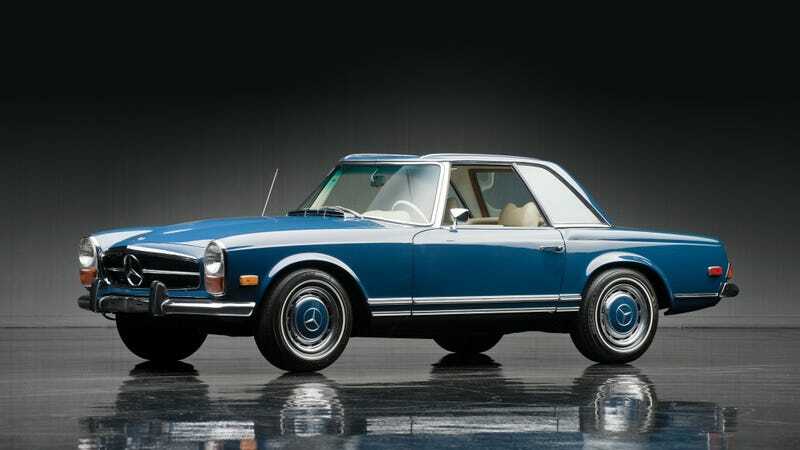 In my dewy morning dreams, I’m greeted by a late-model Mercedes-Benz 280 SL in black. No, deep navy. You don’t need a reason to want it back in its original condition, you just have to know which car you’d like to see an OEM bring back to the standard it originally left the factory in. The chariot that will awaken you from your dreams.